Chechens and Ingushes ended up in European states out of necessity are striving for getting education in European universities. 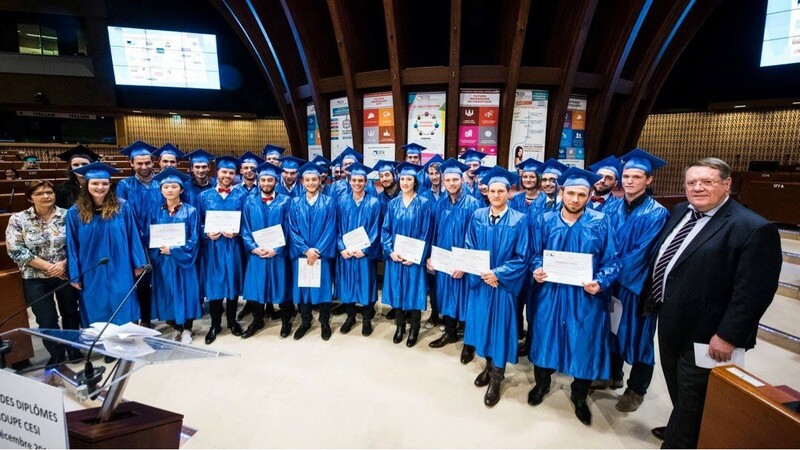 Born between the first and second Chechen wars, they have already learnt the language of their country of residence, are using the advantages of the European higher education system and at the same time keeping track of religious knowledge. As well as their first language, Islam remains the main feature of national identity, which young Nakh people are trying to preserve being far away from home. They hope to put their professional knowledge to good use in their homeland as the political situation in the Caucasian region has changed. The VAYFOND association (Sweden) provides organizational support to Caucasian immigrants who wish to get education in Europe, and is planning to offer them financial support in the future. — When and why did you come to Sweden? — I’m a Chechen and was born in Chechnya. I came to Europe in 2004 for the same reason all Chechen refugees have been coming here: the Russian occupation of the Chechen republic and the iniquity of the Russian occupation government. — Where did you graduate from school? Why did you choose entering a university? — At home, I didn’t have a chance to even get secondary education, I graduated from school when I was already a refugee in the second or even third country. Yes, I was receiving Islamic education for some time before I moved to Europe. When I was a child, alongside with school classes I studied in local Islamic madrasahs, learnt Quran and Arabic grammar, and later I studied in Arab countries and an Islamic university for a year and a half. Unfortunately, I couldn’t keep studying; though I learnt the language and had a chance for further self-education. I’m studying in higher education in Europe; at the moment I’m studying at a technological university and majoring in construction and architecture engineering. Both of my parents have a higher education degree, and we’ve been induced to get educated since we were kids; I’ve loved getting knowledge since I was a child and needed no additional motivation, so that never was a problem. — Can a Muslim reconcile religious and secular education? Do they not conflict? Actually, I believe that science and knowledge should not be divided into secular and religious. All scientific knowledge, for instance, physical laws defining the existence of our Universe, as well as Sharia laws, are the laws of the Lord. In the heyday of Islam, in the so-called golden age of the Muslim renaissance, Islamic scientists had knowledge in many fields and did not limit themselves to theology only. Great advances of Muslim scientists of the day are still the basis of modern sciences. For example, such modern sciences as algebra, chemistry, astronomy, medicine, biology, physics, sociology and so on are based on the works written by al-Khwarizmi, al-Haytham, Ibn Sina (Avicenna), Jabir ibn Hayyan, Ibn Khaldun, al-Tusi and Al-Biruni. The simple fact that the word ‘algebra’ derives from the Arabic ‘al-jabr’, and the word ‘algorithm’ comes from the name of Islamic scientist al-Khwarizmi is quite enough. I think that nowadays one of the main reasons for the decay of the Islamic world and Islamic civilization is the division of knowledge into religious and secular one, as well as ignorant people’s assurance that only religious knowledge is needed. — What difficulties have you faced while studying in Sweden? — Nothing really hard. The only obstacle for an immigrant is a poor command of the language of your residence country. Half of the educational process, if not more, takes place in English. There have never been any conflicts with teachers or students. I can’t even imagine something like that, I’ve seen only help and support here. — Is it possible you come back home and on what conditions? — I consider the possibility to come back and cannot imagine my future life anywhere but in my homeland. However, this is possible only if the political situation at home has changed. As long as the occupation government sets the tone in Chechnya and the local puppet administration is headed by uneducated rednecks, no degrees and professions are required or put to good use. My advice to young people in Europe is use the chances you have now to get higher education in the best European universities. The political situation in Chechnya is going to be changed soon, Russia will leave Caucasus before long, and then restoration of our homeland will require experts in all fields and sectors.